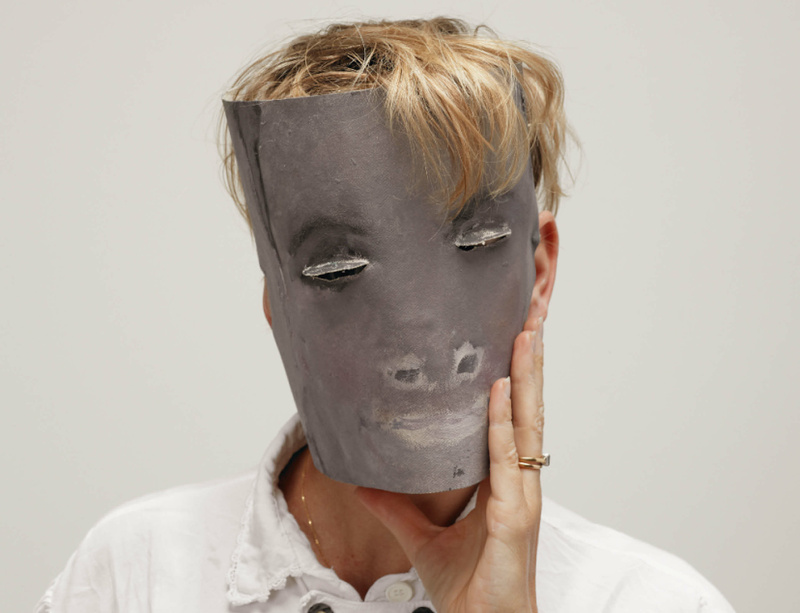 Lisson Gallery announces representation of French multi-media artist Laure Prouvost. A video installation by Prouvost will be included in the gallery’s 50th anniversary exhibition, ‘EVERYTHING AT ONCE’, presented in partnership with The Vinyl Factory in London from 5 October to 10 December 2017. Prouvost will also be performing as part of 'An Evening of Performances’ staged by the David Roberts Art Foundation during Frieze Week for DRAF’s tenth anniversary celebrations. Language – in its broadest sense – permeates the video, sound, installation and performance work of Laure Prouvost. Known for her immersive and mixed-media installations that combine film and installation in humorous and idiosyncratic ways, Prouvost’s work addresses miscommunication and things getting lost in translation. Playing with language as a tool for the imagination, Prouvost is interested in confounding linear narratives and expected associations among words, images and meaning. She combines existing and imagined personal memories with artistic and literary references to create complex film installations that twist fiction and reality. At once seductive and jarring, her unique approach to filmmaking employs layered storytelling, quick cuts, montage and wordplay and is composed of a rich, almost tactile assortment of pictures, sounds, spoken and written phrases. The films are most often nestled into carefully constructed environments filled with a dizzying assortment of found objects, from sculptures, painting and drawings to signs, furniture and architectural assemblages, that are connected to the overarching narrative yet act like relics. Laure Prouvost was born in Lille, France (1978) and is currently based in London and Antwerp. She received her BFA from Central St Martins, London in 2002 and studied towards her MFA at Goldsmiths College, London. She also took part in the LUX Associate Programme. Solo exhibitions include ‘the wet wet wanderer’, as part of ‘Para|Fiction’, Witte de With Center for Contemporary Art, Rotterdam, The Netherlands (2017); ‘softer and rounder so as to shine through your smooth marble’, SALT Galata, Istanbul, Turkey (2017); ‘And she will say: hi her, ailleurs, to higher grounds…’, Kunstmuseum Luzern, Switzerland (2016); ‘GDM – Grand Dad’s Visitor Center’, Pirelli HangarBicocca, Milan, Italy (2016); ‘all behind, we’ll go deeper, deep down and she will say,’ Museum Für Moderne Kunst Frankfurt Am Main, Frankfurt, Germany (2016); ‘Into All That is Here’, Red Brick Art Museum, Beijing, China (2016); ‘ we would be floating away from the dirty past’, Haus Der Kunst, Munich, Germany (2015); ‘For Forgetting’, New Museum, New York, NY, USA (2014); ‘While You Weren’t Looking’, Laboratorio Arte Alameda, Mexico City, Mexico (2014); Max Mara Art Prize for Women, Whitechapel Gallery, London, UK and Collezione Maramotti, Reggio Emilia, Italy (2013); ‘Laure Prouvost / Adam Chodzko’ as part of ‘Schwitters in Britain’, Tate Britain, London, UK (2013); The Hepworth Wakefield, Wakefield, UK (2012); and ‘All These Things Think Link’, Flat Time House, London, UK. Prouvost won the MaxMara Art Prize for Women in 2011 and was the recipient of the Turner Prize in 2013. Performances by Prouvost will take place at the Centre Pompidou, Paris on 6 September and as part of DRAF’s tenth anniversary celebrations in London on 3 October. Her work will be included in the 7th Moscow Biennale (19 September 2017 – 18 January 2018) and will be the subject of a major exhibition ‘They Are Waiting for You’, opening at the Walker Art Center in Minneapolis, MN on 12 October 2017 and continuing until 11 February 2018.